Scandinavian folklore was born from a fear of nature. The unknown depths of the fjords, the unscaled mountains, the dark northern forests…anything strange or unknown was open to speculation of sea monsters, evil spirits or mighty gods. 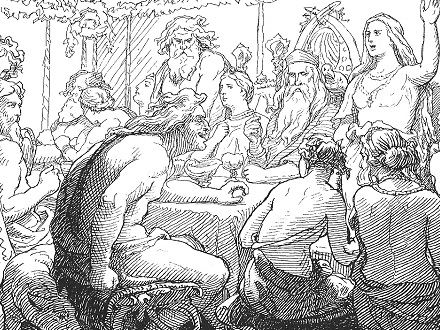 Originating from Norway, Denmark, Finland, Sweden, Iceland and the Faroe Islands, these epic tales of Norse mythology, originally designed to terrify children, have lasted throughout the ages. A modern resurgence of popularity, in large part due to recent Hollywood movies, has seen interest in Scandinavian folklore soar. The most famous tales from Scandinavian folklore are stories of good versus evil and sinister creatures disguised as beautiful mortals. These 10 most famous of the Norse legends evoke images of mighty battles, forces of nature and wicked beings. Long before he became a Hollywood character, Thor was a mighty hammer wielding god of thunder and lightning, a symbol of strength and a protector of mankind. Legend held that he had flashing eyes, a fierce red beard and was husband to the goddess Sif. The son of Odin, Thor was entrusted with Mjölnir, a hammer that was the source of his mighty power. His ability to wield thunder was part of his popularity with the people, as it was believed thunder would frighten away evil trolls. His popularity is evident in the popular use of his name, such as Thursday ("Thor's day"). 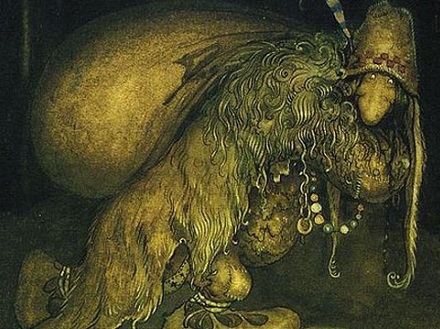 The race of Scandinavian trolls was described as being stupid and slow, much like a bear in temperament; perhaps this is why trolls were rumored to keep them as pets. Their simple lifestyle was one of peace unless they felt threatened in any way, in which case they would respond with savage violence. It was said that any courageous human could outwit a troll, even besting them in one-on-one combat if the human had strong faith. Hoarding their gold under bridges, high in the mountains or at the depths of lakes, trolls were said to be hideous in appearance with multiple heads and huge hairy bodies. A race of master black smiths charged with producing high quality armor for the gods, dwarves lived in an underground city, where they practiced magic and avoided exposure to the sun. 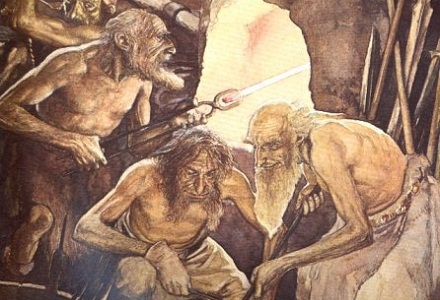 It is believed that the legend of the dwarves originally came from a form of Indo-European ancestor worship, which is why they were said to be pale and “ghoulish” in appearance. Over time, their physical appearance changed so that they were eventually described as being short men with long scraggly beards. Their underground home was located within Midgard, a realm that no human has ever found. There is a saying in Sweden that “the elves are dancing in the mist”, a result of their ethereal beauty and grace. 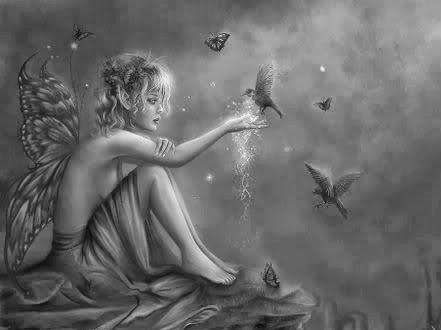 More often portrayed as female, elves were said to inhabit the meadows and forests of Scandinavia, where they were sometimes portrayed as tiny fairies, transparent spirits or almost human. Despite their portrayal in movies as being eternally good and just, in Scandinavian folklore they could be either good or wicked. Some elves were said to bewitch hapless humans and steal their life force, whilst others were characters in tales of forbidden love. Known by the titles “Allfather” and “Ruler of Asgard”, Odin was one of the principal gods associated with war, battle and victory. He was also known for his wisdom, his magic and his most famous of sons, the god of thunder, Thor. Originally, Odin fulfilled the role of a shaman, the god who inspired poetry among humankind and predicted the outcome of future events. 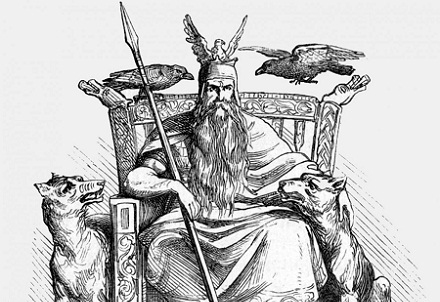 As Norse cultures changed, Odin’s role became less poetic and he began to be portrayed mainly as a battle scarred leader of war and the champion of the gods. Loki is often described as being an outcast amongst the gods of Norse mythology, playing the role of trouble maker or partner according to his fluctuating purposes. His chief skill is said to be his ability to shape shift, assuming the form of humans, fish, animals and even insects at times. 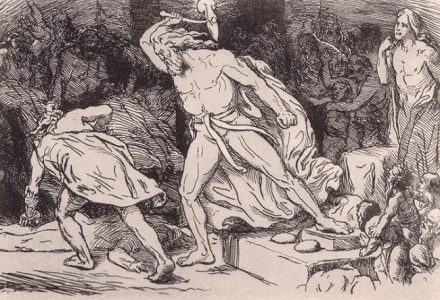 In addition to his general mischief making, Loki was held responsible for the death of Baldr, the Norse god of purity and light, which resulted in him being ensnared with the innards of his own son as punishment from the remaining gods. As one of the most legendary Norse mythology creatures, Kraken has terrified Norwegian sailors for centuries, the Kraken was described as resembling a giant octopus that grows to epic proportions. The Kraken was also blamed for many natural occurrences that were later attributed to volcanic activity, such as treacherous currents, the appearance of new atolls and violent bubbling water. The devourer of ships, Kraken was the subject of dramatic Norse legends involving disappearing ships, lost sailors and terrifying forces of nature. 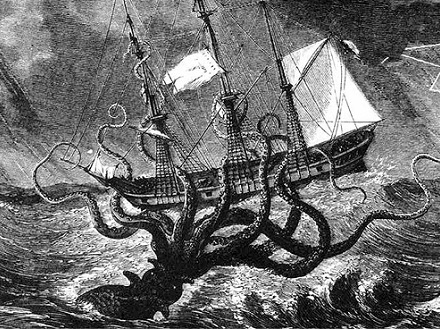 The horrifying descriptions of the kraken have made it the subject of numerous works of fiction. 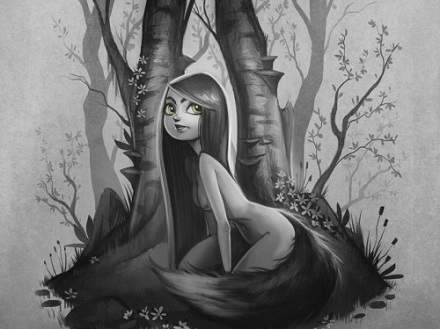 A vicious temptress said to reside in the Scandinavian forests, the lovely Huldra would lie in wait for her mortal victims, enticing men into her forest lair in order to steal their souls. Although beautiful, the Huldra was said to have a long tail, similar to that of a cow, which she tried to hide by tying it under her skirt. If Huldra can convince a mortal man to marry her in a Christian church, her tail will fall off and she will become human, but she will also lose her famed beauty. The nisser are one of the mythical characters that still play an important role in Scandinavian culture today. 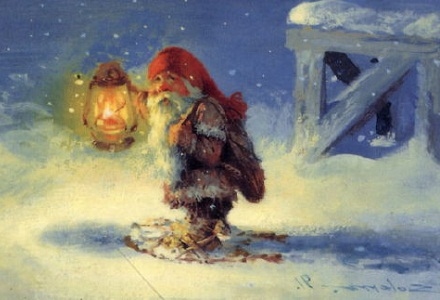 According to Norse tradition, every family has a nisse living in their barn, which acts as the family’s guardian and fulfils the role played by Santa in western Christmas tradition. Described as being only three feet tall, the nisser have long white beards and colourful knitted caps, making them similar in appearance to a common garden gnome. The nisser are famous for the juvenile pranks that they like to pull, as well as their custom of delivering presents to the family on Christmas Eve. The Scandinavian folklore version of the werewolf, the Mara is a race of Nordic peasant women who participated in an ancient ceremony that would prevent them from feeling pain during childbirth. As a result of this ritual, however, the Mara would slowly transform every midnight into a terrifying wolf monster, a process that was slow and brought agony to the Mara as her body contorted, her teeth lengthened and her nails sharpened. As a lasting legacy, the children of the Mara would also be affected, with her daughters inheriting the she-werewolf curse, but her sons becoming shamans.